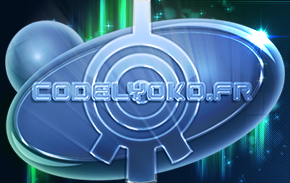 This page lists all the informations about the missions which make you earn Lyoko Points and also the ones of Forbiden Citadel. For all the other missions, have a look to the guide of the Lyokonautes. 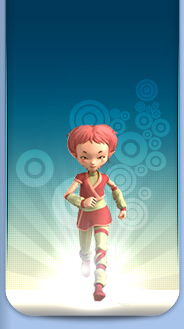 The Lyoko Points (LP) are the currency used in the game to get bonuses or benefits. Although they can be bought , you can also get a reward for certain missions (or killing Frôlions that were passing in the middle of the screen during the fight, but it is a very rare occasion). Currently there are a total of 36 missions that rewards Lyoko Points, for a total of 124 LP (multiplied by 5 characters, therefore it gives 620 LP to win only through missions). Share the game on Facebook:Like the Facebook page of the game. (2 LP). Deactivate the control tower:Deactivate the tower ( 5 LP ). Star hunt:Sectors 04-06 with 3 stars ( 5 LP ). Phantom rumors : find one ! :Kill a Phantom Ninja. ( 2 LP ). To infinity and beyond (1): Sector 06 Twin - Alpha 02 with 3 stars (1 LP). To infinity and beyond (2):Sector Alpha Tower - Mirror with 3 stars ( 1 LP). To infinity and beyond (3):Sector Mirror Tower - Arid Tower with 3 stars (1 LP). Master of Lyoko (3):Sector Mirror Tower - Arid Tower with perfect( 2 LP ). To infinity and beyond (4):Sector Heat wave Tower - Trident Point with 3 stars (1 LP). To infinity and beyond (5):Sector Trident Annex 1 - Icecap 1 with 3 stars (1 LP). Perfection (3):Sectors 11-15 with perfect ( 2 LP ). Odd's riddle:Disable the tower ( 3LP ). Starry Ice Floe:Sectors 23-25 with 3 stars ( 3LP ). Slippery and shiny ground:Sectors 26-29 with 3 stars ( 2 LP ). Perfect reflection:Sectors 30-33 with 3 stars ( 1 LP). To infinity and beyond (6):Sector Ice Cap 2 –-Canyon with 3 stars (1 LP). Perfection (6):Sectors 26-30 with perfect ( 2 LP ). Master of Lyoko (6):Sector Ice Cap 2 - Canyon with perfect ( 2 LP ). A Mine of Information:Find 30 green rocks (5 LP). Final Battle:AANX Lair:Finish AANX Lair sector ( 10 LP ). Fight at the top:Beat Medusa ( 15 LP ). Home Stretch:Sectors 34-38 with 3 stars ( 2 LP ). Closer to the stars:Sectors 39-42 with 3 stars ( 5 LP ). Stellar:Sectors 43-46 with 3 stars ( 10 LP ). To infinity and beyond (7):Sector Cross Canyon - Plateau 2 with 3 stars (1 LP). To infinity and beyond (8):Sector Plateau 3 - Rock Tower with 3 stars ( 1 LP). Perfection (8):Sectors 36-40 with perfect ( 2 LP ). Perfection (10):Sector 46 and AANX Lair with perfect ( 5 LP ). Master Lyoko (8):Sector Plateau 3 - Plateau Tower with perfect ( 5 LP ). Reach the level 50 (1 PL). Reach the level 60 (2 PL). Reach the level 70 (3 PL). Reach the level 80 (4 PL). Reach the level 90 (5 PL). Reach the level 94 (6 PL). Destroy these Medusas : Kill 25 Médusas (5 PL). Requirement : Sector Aanx Lair needs be finished and level 25 is necessary to unlock the following missions. Kill 50 enemies and combat with 2 friends. Easy to do at the same time compared to the other mission. When the mission "Show what you worth !" has been finished, the access to the Forbidden Citadel is unlocked, then coms the real challenges. You will meet 3 Kankrelats and a Phantom Feline which has a speed about 1000 , 150 life point and hit damage with a Force of 250. Call your guardians friends, it will be necessary. 2 Mégatank and 3 Manta on the field, easy to finish the fight with fast characters. Here come 3 Bloks with 382 life point, a Phantom Guardian with 585 life point and a Phantom Feline with a speed of 700 but weak on life point. We can see 2 tarentules with 500 life point and 180 force as well as a Phantom Warrior with 720 life point and 850 force. They do not seem fast, a team of Ninja with Perfect Shot should be enough. Another fast fight. 4 Phantoms Ninja with a speed of 500 , 200 life point and 70 force along with a Phantom Samurai which have 630 points life point and 500 force but no real speed. Again for this battle, I advise to bring some Guardians. 2 Tarentules with 400, 2 Manta with 720 and a Megatank with 1500 points life point. They are really slow but you wouldn't take a hit. Plan to take allies with lot of health and an important strength to bring them down fast. A Warrior is a good choice for his force and his area of effect. A Phantom of each type with their main attributes at very high level. The Feline with a speed of 1300, the Ninja with a speed of 1080, the Warrior with 1080 force, the Guardian with 1080 life point et the Samurai with an average of all. Good Luck. Secondaries Missions are unlocked with each fight at the Citadel to bring you to kill more monsters with friends or travel to many sectors. - Warming (450 Xp) :25 enemies, Sector Cross Canyon. - Fitness (450 Xp) :30 enemies, Sector Rock Tower. - Coordination (450 Xp) :20 enemies, 3 friends, Sector Canyon Point. - Power Gain (450 Xp) :Finish the 5th battle of the Citadel with 2-stars, use mini Power-boost. - Final Training (500 Xp) :40 enemies, Sector AANX Lair with Perfect, Be at level 30. - The Champion of the Forbidden Citadel (750 Xp) :3-Stars Score on Sector Citadel. - The Great Champion of the Forbidden Citadel (750 Xp) :Perfect Score on Sector Citadel.